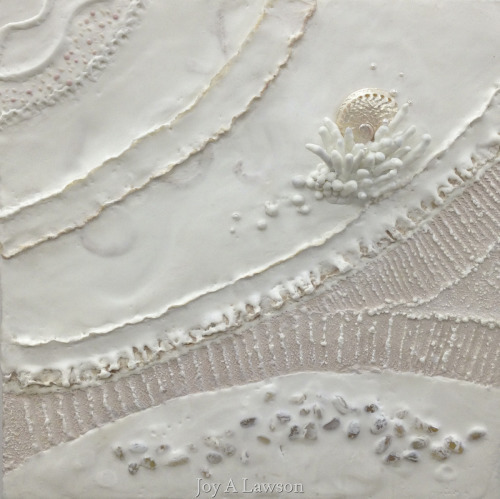 Encaustics & Mixed Media using a tile, fabric and a pearl. 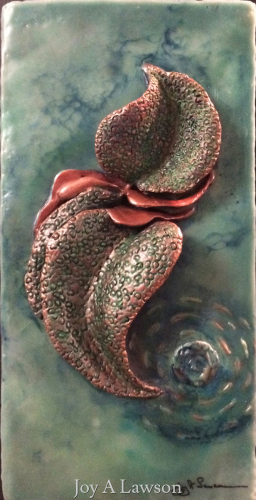 Much of the col was added by pouring colored the wax. 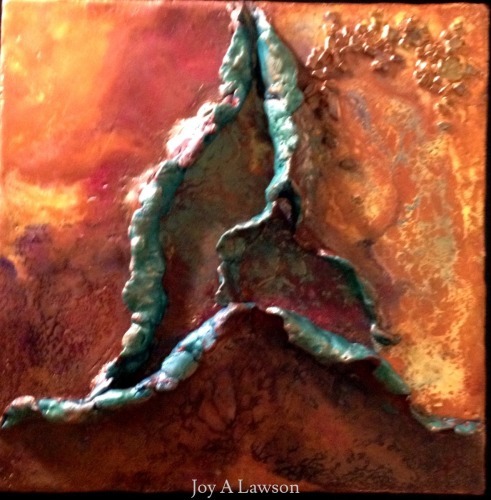 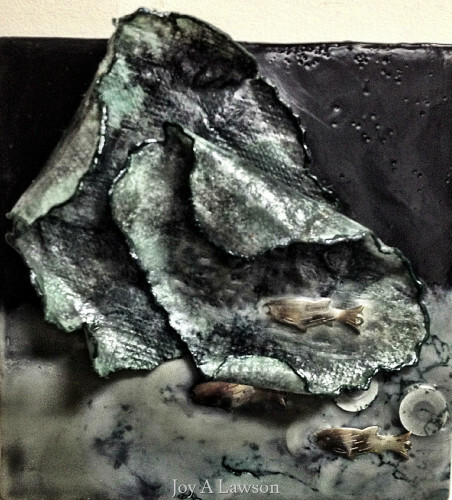 A three dimensional piece created by layering a harder colored wax medium and molding it into a desired form and attaching it to the encaustic ground with beeswax. 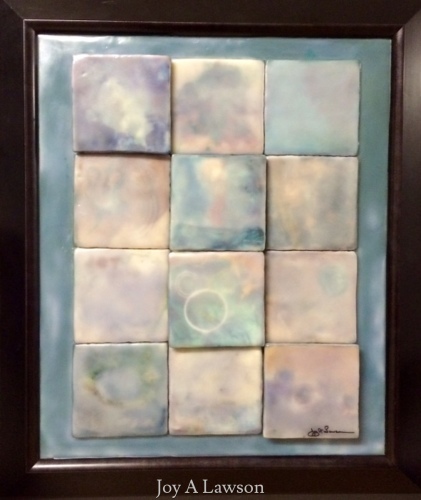 The encaustic dimensional design is created by cutting into the many heated layers of wax and lifting and rolling the wax layers to form a raised surface. 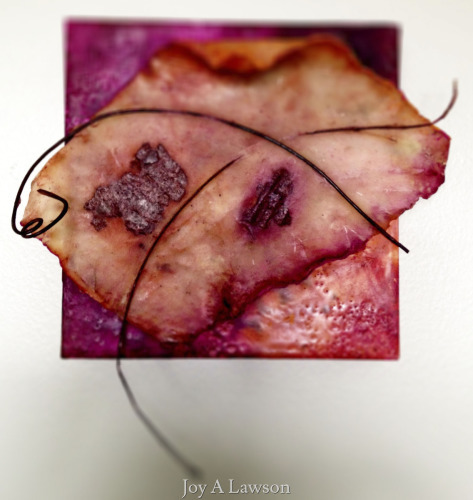 Encaustic beeswax was poured in several layers to create an interesting pattern and then accented with pigment sticks. 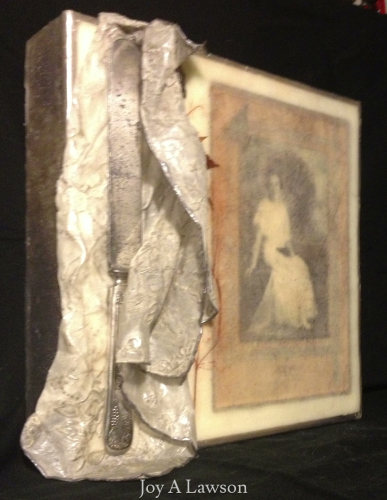 Paper flower is a piece of paper towel waxed and shaped into a flower.